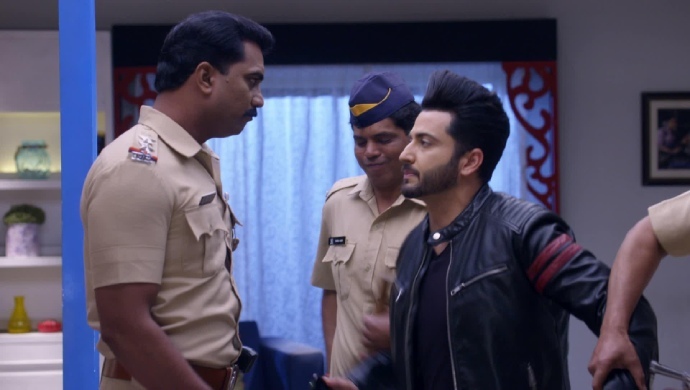 In the previous episode of Kundali Bhagya, Karan tries to force his way into Sherlyn’s house but can’t get past the door. He doesn’t tell Preeta where he is, neither does he answer Rishabh’s call. He is waiting to collect proof before explaining it to them. Back at the Luthra household, Sameer hugs Srishti after telling her that she is his special friend. However, they get caught hugging by Kareena Aunty as she is passing by. Watch the latest episode of Kundali Bhagya here. In tonight’s episode, Sameer sees Kareena at the door when he is hugging Srishti. He immediately lets go of her and pretends like nothing is happening. Kareena walks in and begins scolding Sameer for being with Srishti. She tells him that he forgot her warning of keeping away from Srishti because she is middle class. She even threatens to send Sameer back to his village in Punjab and end his career in Mumbai. Srishti steps in to explain that nothing is going on between her and Sameer. Kareena refuses to believe her. Instead she blames Srishti for trapping Sameer. She calls up Srishti’s house to tell her mother, Sarla, to keep Srishti away from Sameer. Biji answers the call and pretends to be Sarla to listen to Kareena’s taunts before keeping the call. Kareena then asks Srishti to tie a rakhi on Sameer and make him her brother. Srishti tries but then refuses to do so. Karan meanwhile is trying to break into Sherlyn’s house. The door is locked quaite well, but eventually the latch breaks and Karan steps in silently. He sees that the lights are off and assumes that Sherlyn and Prithvi are in the bedroom. He goes upstairs to collect proof. Srishti then begins insulting Kareena and Sameer while nudging Sameer to step in. Sameer scolds Srishti for not having manners and tells her to leave the room. Seeing the two of them fighting so badly, Kareena is convinced that there is nothing going on between them. Karan hears Sherlyn screaming before he enters the room. He steps in and tries to calm her down while the lights are off. Just then the police show up and arrest Karan. When Karan asks Sherlyn to tell the police that she knows him, Sherlyn pretends to faint. In the end, the police handcuff Karan and take him to jail. Will Karan be able to prove his innocence? Stay tuned to find out.